It is with sorrow that we announce the death of our patriarch, Emerson Henderson, on March 14, 2018, days shy of his 103rd birthday. Born in Charlottetown on March 25, 1915, Emerson was the youngest son of Jack Henderson and Phila May Mellett. He moved to Sydney 100 years ago at the age of three. Emerson had many loves, but none greater than his family. He was predeceased by his parents and his seven siblings, Kenneth, Lou, Pearl (Cole), George, Ruby (Stewart), Harry, Lettie (MacDougall); his wives, Charlotte MacIntyre and Eileen Kenney; his infant children, James Hugh and Paul Emerson, and his adult son, George. 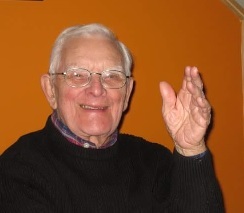 He is survived by his three remaining children, Allan (Pat) Henderson, Margaret (Earle) Tubrett, and Mary Jane (Harris) MacDonald; his grandchildren, Susan Henderson, Tracy (Richard) Morykot, Helen Tubrett (Brent Tucker), Elizabeth (Robb) Kell, Brian (Diana) Tubrett, Jacob MacDonald, Charlotte (Jeffrey) Pearson, and Jonathan MacDonald; great grandchildren, Liam, Luke, Maura Kell; Allan, Carter Morykot; Kalayna, Alexei, Nikolai, Larissa Tubrett; Lily May Pearson; and his dear nieces and nephews. He will be missed by all of us and by his special friend, Mildred Hunley. We all knew how much he loved us. Emerson began his career in sales at Progressive Wholesale in 1936, but it was his love of cars that defined most of his working life. He began selling them first at MacPherson Motors in 1950, moving on to Island Motors before branching out on his own and opening Crown Motors, the very first Toyota dealership in Atlantic Canada. As a businessman, he believed in the value of service and was a member of the Kiwanis Club for 22 years. Emerson was also a lover of his pastimes. In his younger years, he enjoyed curling and sailing competitively. He belonged to the Sydney Curling Club and the Royal Cape Breton Yacht Club, and was a founding member of the Dobson Yacht Club. He was also an avid golfer, first taking up the game in his beloved Ingonish in 1941 with the opening of the Cape Breton Highlands golf course and playing there until his last round in September 2017. He also enjoyed his time at Lingan Golf Club and his many trips to Myrtle Beach with his golfing buddies. In his later years, he never passed up a good game of tarabish. Lastly, as a proud Cape Bretoner and hockey fan, he loved cheering on the Cape Breton Screaming Eagles and was a season ticket holder from the beginning of the franchise here. He was most honoured and humbled to be recognized by them on the occasion of his 100th birthday. Our thanks to Dr. Bobby Cohen and Dr. Chris MacDonald, the staff at Buchanan Memorial Hospital, and the care team of An Cala Palliative Care Unit of the Cape Breton Regional Hospital. Cremation has taken place. Visitation will be held on Sunday, March 18, 2018, from 2-4 p.m. and 7-9 p.m. in the S.W. Chant & Son Funeral Home. A Funeral Mass will be celebrated on Monday, March 19 at 11a.m. at Our Lady of Fatima Church. Interment at Resurrection Cemetery. In lieu of flowers, please consider a donation in Emerson’s name to the Buchanan Memorial Hospital Foundation (Neils Harbour, NS), the Hospice Palliative Care Society of Cape Breton, or The Cancer Patient Fund. 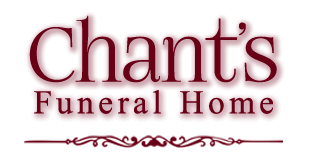 Online condolences may be offered at www.chantfuneralhome.ca.